SMS is a very important term and broadly in use daily by the whole world. Every day we will text the important work and messages through SMS services given by our network operators! Do you know that How these SMS are successfully got deliver to the recipients? Well, this is by SMS center number. Every network will contain this number which is very useful for your messages to be sent, delivered and also store in the networks database. So, here we will give you the Airtel Message center number list below. So, today we are going to give you those Airtel message centre number list for airtel users. There are different Airtel message center number for different states. So, there will be all the unique numbers for each state. So, many of us are not aware of these numbers. Don’t worry, I will give you the details about the SMS service center number airtel and also all the details about this SMSC. So, friends now you have got some information about these Airtel message centre number. Now let us dig deep into this topic. All the sim card company’s and also mobile network will maintain a message responsive platform called SMSC (Short message service center) which is very important network element for any network operator. This SMSC is very helpful for forwarding, delivering and also storing your text messages. The message which is sent offline by using mobile network will forward by this network. So, every company will maintain a unique number, so as airtel does. As Airtel is the huge network which is spread all over the country among different states. For your assistance airtel has also given the SMS service center number Airtel which are unique for different state users. Here we will provide them, scroll down for details. The below table gives you the important details about all the states Airtel SMS centre numbers which will assist you all the time if you want any help regarding the problems of your Text messages. Here, we have added all states airtel SMS center number list, just take a look and find your relevant state message center number for Airtel and please tell us how helpful it is. NOTE: We have given all the valid numbers, if you have any other details just share them with us, we will update them as soon as possible. 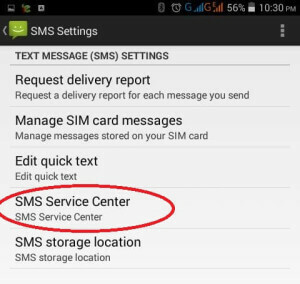 So many are asking how to change Sms center on Android mobile. So we are providing total process below. 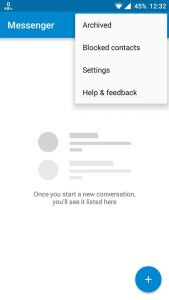 First of all Open message app from your Mobile, Click Menu button & Go to Settings, Go to More Settings or Advance Settings. Scroll down below you can find SMS centre number. Enter correct SMS center number which is available above. So, guys this is the way to change your Message center number easily in your android phone. You will find this options only in default message app in your phone. So, this is it, friends, here we have given almost all the Details about the Airtel message centre number and also all the other details about this SMSC and also SMS service center number Airtel. Hope you guys found this useful. If you want more interesting and Informational stuff, please keep visiting Mycarenumbers and get all the information you need within minutes. Thank you for visiting our website. Thanks for visiting our website. We try to update soon our website. Airtel message center number for Uttrakhad not Mension on this list. Can you update please?